The paper presents the results of the Janes project, which aimed to develop language resources and tools for Slovene user generated content. The paper first describes the 200 million word Janes corpus, containing tweets, forum posts, news comments, user and talk pages from Wikipedia, and blogs and blog comments, where each text is accompanied by rich metadata. The developed processing tools for Slovene user generated content are presented next, which include a tokeniser, word-normaliser, part-of-speech tagger and lemmatiser, and a named entity recogniser. A set of manually annotated datasets was also produced, both for tool training as well as for linguistic research. The developed resources and tools are made publicly available under Creative Commons licences in the repository of the CLARIN.SI research infrastructure and on GitHub, while the corpora are also available through the CLARIN.SI concordancers. We would like to thank the anonymous reviewers for their valuable comments which helped us improved the paper. We would also like to thank Avtomobilizem.net, Kvarkadabra, MedOverNet, Mladina, Reporter and RTV Slovenija for permission to include their content in the Janes corpus. We are grateful to Jaka Čibej, Teja Goli, Dafne Marko, Eneja Osrajnik, Senja Pollak and Iza Škrjanec for manual metadata enrichment, Špela Arhar Holdt, Jaka Čibej, Kaja Dobrovoljc, Simon Krek and Katja Zupan for their help with the development of the annotation guidelines and the annotators Teja Goli, Melanija Kožar, Vesna Koželj, Polona Logar, Klara Lubej, Dafne Marko, Barbara Omahen, Eneja Osrajnik, Predrag Petrović, Polona Polc, Aleksandra Rajković, Špela Reher, Iza Škrjanec and Katja Zupan for their dedicated work throughout the campaign. The work described in this paper was funded by the Slovenian Research Agency within the national basic research projects “Resources, Tools and Methods for the Research of Nonstandard Internet Slovene” (J6-6842, 2014–2018) and “Resources, methods and tools for the understanding, identification and classification of various forms of socially unacceptable discourse in the information society” (J7-8280, 2017–2020). Arhar Holdt, Š., Erjavec, T., & Fišer, D. (2017). CMC training corpus Janes-Syn 1.0. Slovenian language resource repository CLARIN.SI. http://hdl.handle.net/11356/1086. Dobrovoljc, K., Krek, S., Holozan, P., Erjavec, T., & Romih, M. (2015). Morphological lexicon Sloleks 1.2. Slovenian language resource repository CLARIN.SI. http://hdl.handle.net/11356/1039. Dobrovoljc, K., Krek, S., & Rupnik, J. (2012). Skladenjski razčlenjevalnik za slovenščino [A syntax parser for Slovene]. In Proceedings of the eight conference on language technologies (pp. 42–47). Jožef Stefan Institute. http://nl.ijs.si/isjt12/proceedings/index-en.html. Erjavec, T., Fišer, D., Čibej, J., & Arhar Holdt, Š. (2016). CMC training corpus Janes-Norm 1.2. Slovenian language resource repository CLARIN.SI. http://hdl.handle.net/11356/1084. Erjavec, T., Fišer, D., Čibej, J., Arhar Holdt, Š., & Ljubešić, N. (2016). CMC training corpus Janes-Tag 1.2. Slovenian language resource repository CLARIN.SI. http://hdl.handle.net/11356/1085. Erjavec, T., Ljubešić, N., & Fišer, D. (2017). Blog post and comment corpus Janes-Blog 1.0. Slovenian language resource repository CLARIN.SI. http://hdl.handle.net/11356/1138. Erjavec, T., Ljubešić, N., & Fišer, D. (2017). Forum corpus Janes-Forum 1.0. Slovenian language resource repository CLARIN.SI. http://hdl.handle.net/11356/1139. Erjavec, T., Ljubešić, N., & Fišer, D. (2017). News comment corpus Janes-News 1.0. Slovenian language resource repository CLARIN.SI. http://hdl.handle.net/11356/1140. Goli, T., Osrajnik, E., Fišer, D., & Erjavec, T. (2017). CMC shortening corpus Janes-Kratko 1.0. Slovenian language resource repository CLARIN.SI. http://hdl.handle.net/11356/1087. Holozan, P., Krek, S., Pivec, M., Rigač, S., Rozman, S., & Velušček, A. (2008). Specifikacije za učni korpus. Projekt “Sporazumevanje v slovenskem jeziku” [Specifications for the training corpus. The “communication in Slovene” project]. Technical report, Amebis, d.o.o. http://www.slovenscina.eu/Vsebine/Sl/Kazalniki/K2.aspx. Horsmann, T., & Zesch, T. (2016). Building a social media adapted pos tagger using flextag: A case study on Italian Tweets. 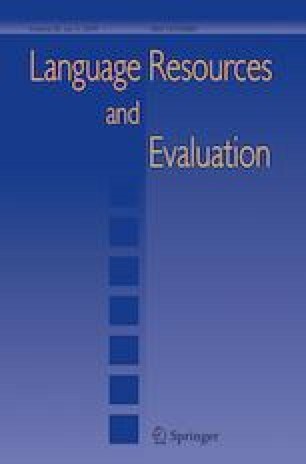 In Fifth evaluation campaign of natural language processing and speech tools for Italian: EVALITA 2016 (pp. 95–98). Naples. http://www.ltl.uni-due.de/wp-content/uploads/horsmannZesch_evalita2016.pdf.pdf. Huang, Z., Xu, W., & Yu, K. (2015). Bidirectional LSTM-CRF models for sequence tagging. CoRR arXiv:abs/1508.01991. Koehn, P., & Knowles, R. (2017). Six challenges for neural machine translation. In Proceedings of the first workshop on neural machine translation (pp. 28–39). Association for Computational Linguistics. http://aclweb.org/anthology/W17-3204. Krek, S., Erjavec, T., Dobrovoljc, K., Može, S., Ledinek, N., & Holz, N. (2013). Training corpus ssj500k 1.3. Slovenian language resource repository CLARIN.SI. http://hdl.handle.net/11356/1029. Ljubešić, N., Erjavec, T., & Fišer, D. (2017). Twitter corpus Janes-Tweet 1.0. Slovenian language resource repository CLARIN.SI. http://hdl.handle.net/11356/1142. Ljubešić, N., Erjavec, T., & Fišer, D. (2017). Wikipedia talk corpus Janes-Wiki 1.0. Slovenian language resource repository CLARIN.SI. http://hdl.handle.net/11356/1137. Popič, D., Zupan, K., Logar, P., Kavčič, T., Erjavec, T., & Fišer, D. (2017). Tweet comma corpus Janes-Vejica 1.0. Slovenian language resource repository CLARIN.SI. http://hdl.handle.net/11356/1088. Reher, Š., Tomaž, & Fišer, D. (2017). Tweet code-switching corpus Janes-Preklop 1.0. Slovenian language resource repository CLARIN.SI. http://hdl.handle.net/11356/1154. Rei, L., Krek, S., & Mladenić, D. (2016). xLiMe Twitter corpus XTC 1.0.1. Slovenian language resource repository CLARIN.SI. http://hdl.handle.net/11356/1078. TEI Consortium. (2017). TEI P5: Guidelines for electronic text encoding and interchange. TEI Consortium. http://www.tei-c.org/Guidelines/P5/. Tjong Kim Sang, E., Bollmann, M., Boschker, R., Casacuberta, F., Dietz, F., Dipper, S., Domingo, M., van der Goot, R., van Koppen, M., Ljubešić, N., Östling, R., Petran, F., Pettersson, E., Scherrer, Y., Schraagen, M., Sevens, L., Tiedemann, J., Vanallemeersch, T., & Zervanou, K. (2017). The clin27 shared task: Translating historical text to contemporary language for improving automatic linguistic annotation. Computational Linguistics in the Netherlands Journal, 7, 53–64. http://www.clinjournal.org/sites/clinjournal.org/files/04.clin27-shared-task.pdf.